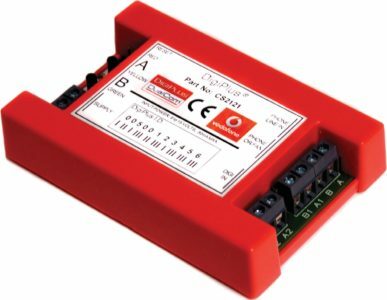 DigiPlus® is a small device that was developed in conjunction with Vodafone that fits between any existing digital communicator and the telephone line providing an improved and robust signalling solution. It is guaranteed to make all existing digital communicators fully compatible with BT’s new 21st Century Network (21CN) as it uses a 300 baud modem. By using 0800 free telephone calls for all alarm and polling traffic it provides a fixed cost solution to varying nongeographical telephone number rates used by most UK Alarm Receiving Centres. DigiPlus® provides an invaluable solution to the issues created by BT’s upgrade of the UK’s telephone network to the 21st Century Network. This upgrade will roll out over the next few years across the whole of the UK and it is estimated by Security Industry bodies that over 40% of existing digital communicators will not work once the this new network starts to be switched on. This may leave end users with large telephone bills and burden installers with outdated legacy equipment. DigiPlus® eliminates these issues completely and guarantees all existing digital communicators will work using technology unaffected by BT’s 21CN. Digital communicators will also gain the added benefit of a managed network and routine polling as the alarm and polling calls are routed into existing Alarm Receiving Centres via the DualCom Gemini® Managed Network.